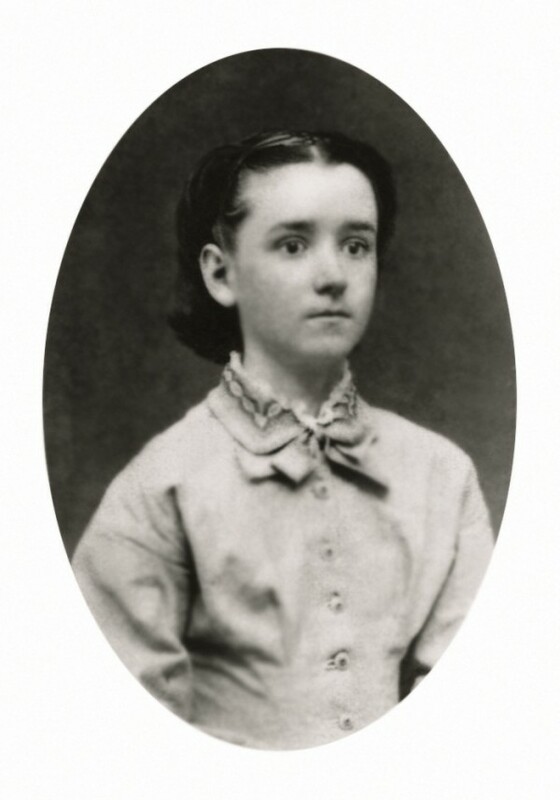 Emma, daughter of James Allen Noyes and Caroline Atwell, was born Dec 15 1860 in Wakeshma, Kalamazoo, Michigan. 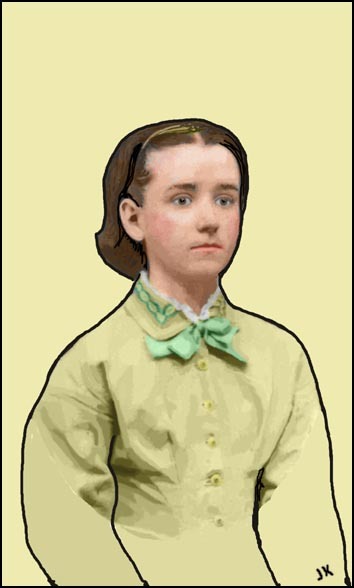 On June 9 1878 in Anna, Union, Illinois, Emma married Orrin Ellie Harmon who would one day write a slim book on the history of the freethought town of Liberal, Missouri, where her family settled and where she and Orrin would reside after a few years in Washington state. Orrin and Emma had no children of their own. When Cora, Emma’s sister, died in childbirth, they took in her son, Robert, and raised him as their own. Robert was born Oct. 16, 1887 at Liberal in Barton County, Missouri and died Nov 27 1961 in Monroe, Quachita, Louisiana. The 1880 Anna, Union, Illinois census. COMMENT: Chloe DAVIS looks like she was inadvertantly placed in the Orin HARMON household, as 338/372 continues with daughters of Chloe’s. Viola and her husband Orin HARMON reside in the J. A. NOYES’ household. There don’t appear to be other Michigan families nearby. From spring of 1882 through spring of 1897 the Harmons resided in Chehalis, Lewis, Washington. 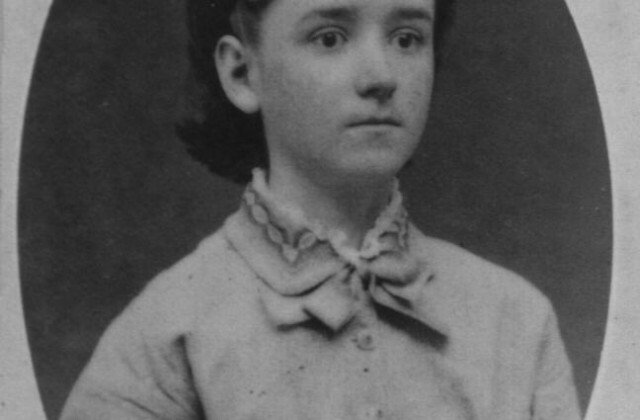 In 1887 they adopted the son of Emma’s sister, Cora Noyes Greene, who had died in childbirth. An envelope from a letter written by Caroline Atwell Noyes during a 1891 visit, postmarked Chehalis, survives. In 1897, the Harmons moved to Liberal due to Orrin experiencing health problems and having been advised the climate in Chehalis was bad for him. The 1900 Central, Barton, Missouri census. I’ve yet to locate the family in the 1910 census. 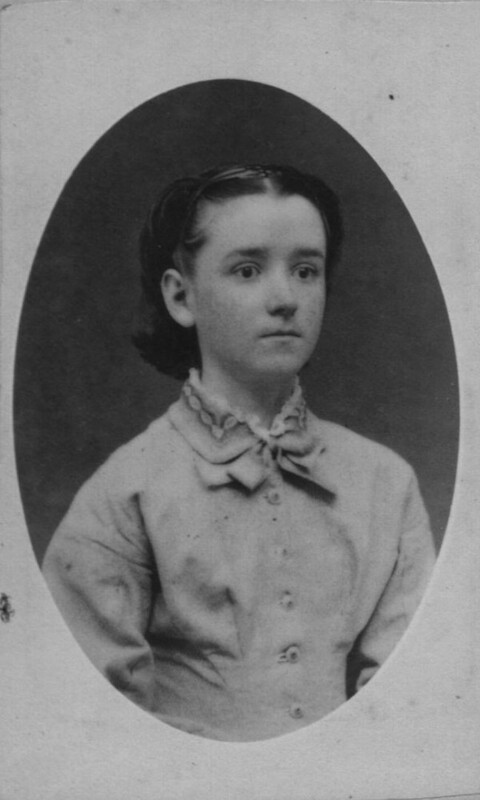 From 1916 to 1919 Emma resided in Louisiana. The 1920 Central, Barton, Missouri census. The 1930 Central, Barton, Missouri census. Year: 1930; Census Place: Central, Barton, Missouri; Roll: T626_1175; Page: 1B; Enumeration District: 2; Image: 0803. After the death of Emma’s husband, Orrin, she lived with her son, Robert, at his plantation in Monroe, Quchita, Louisiana. She died there 1946 October 26 and was buried at Liberal Cemetery in Liberal, Missouri.